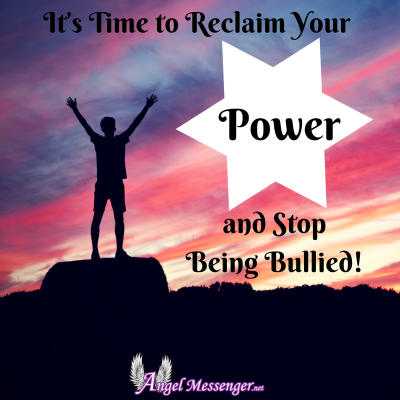 It’s Time to Reclaim Your Power and Stop Being Bullied! At some point in time in our lives, we have all felt powerless. It seemed as if there was nothing we could do but watch the pain unfold. If you have felt this way or are currently feeling like this, then, let me assure you: it’s okay to feel like a victim. In fact, it is a very normal human reaction in the face of trials and difficulties. The problem starts only when we choose to remain in this state of perceived victimhood for too long. We must get up and realize that we are the creators of our own destiny. Each one of us is one hundred percent responsible for everything that is happening to us. Now, you’ll probably ask, “How am I responsible for someone else treating me badly?” It’s likely that you have done nothing to deserve the way another person is treating you BUT what happens to us accounts for only 10%, the remaining 90% is determined by our reaction to it. You have to understand that when I am saying you are responsible for everything that is happening in your life, it does not mean that you have to take the blame for your life being a certain way. Quite contrary to this, taking responsibility is an act of reclaiming your power. You can change your circumstances only when you take responsibility by believing that you have the power to mold your life in any way you wish. The only purpose of life is growth and transformation – it all begins with the simple act of feeling responsible. Look at your challenges as opportunities for increasing your strength. When you go to the gym, you try and lift heavier every day so that your muscles would grow. It’s the same way with life. The difficulties you face and transcend successfully make you stronger. Learning to deal with others gently but firmly is one of the most important life lessons that each one of us must learn. Once you understand how to be powerful and compassionate at the same time, you’ll never find yourself in a situation where anyone can make you feel like a victim. People who bully others are usually very insecure about themselves. The mask of cruelty and unkindness they put on is merely a façade for hiding weakness and vulnerability. In fact, a lot of people who engage in bullying behavior come from broken homes. 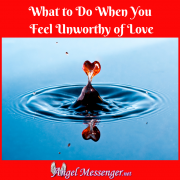 Once you understand that the person who is showing himself/herself off as powerful is actually broken and troubled inside, it becomes easier to have compassion for that person. This doesn’t mean that their words or actions can be condoned. 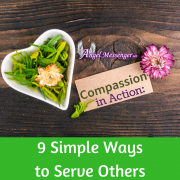 By having compassion and empathy, you are just making it easier for yourself to not hate that person. It’s very important that you don’t hate the person as hatred is a very strong emotion which energetically ties us to the object of our hatred. You don’t want to imprison yourself in such negativity. Therefore, for your own freedom and sanity, refrain from hating anyone. Just keep in mind that the actions of a person and the person himself/herself are two separate entities. A Course in Miracles says that the cause of our suffering is never related to what we are not getting. Our suffering is ALWAYS caused by what we are not giving. Take a minute to think about this: what you want from the bully is respect for your personal space. This is something that you are obviously not getting. Also, there’s nothing you can do to make that person give it to you. However, you have power over what you are giving and what you are choosing to receive. Give the bully the firmness of your resolve that you are not going to let him/her victimize you anymore. Just like you lock the doors of your house to keep trespassers out, you must protect your personal space. Learn to say ‘NO’ firmly and with confidence. If there is any sign of weakness or of self-doubt in your communication style, then the other person will sense it. You have to, therefore, make yourself strong. Believe that no one can do anything to you without your permission. Seek protection from your spiritual guides and no negative force in the Universe will ever be able to touch you. A lot of times people allow someone else to bully them because of low self-esteem or lack of self-confidence. This is where deep-seated conditioning come into play. When we have grown up with the idea that in some way we are not good enough, we constantly seek validation from others. We are willing to do anything for that validation. This is the kind of behavior pattern that the bully takes advantage of. I urge you to look carefully and speculatively at your own past, what do you see? What was your childhood like? Did you grow up believing that you could rule the world or did you grow up believing you were a powerless victim of circumstances? No matter what your answer is, I must add here that there’s not a single soul in this world who does not require healing in some way. In this dimension of duality, it is inevitable that we will all acquire psychic scars that can fully heal only through the salve of enlightenment. Healing the past is the master key to healing the present. Life always repeats itself in cycles and patterns. 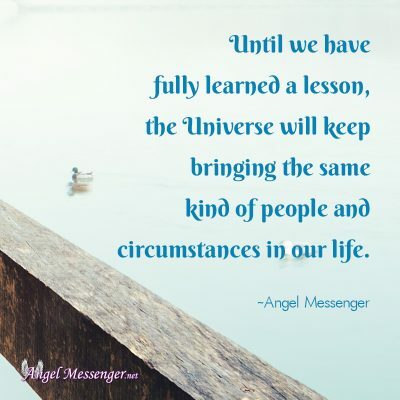 Until we have fully learned a lesson, the Universe will keep bringing the same kind of people and circumstances in our life. If you look closely, you will recognize that there is a pattern in every area of your life. All your relationships have a common theme. 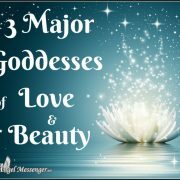 If you feel bullied by a romantic partner now, then, chances are you felt bullied by someone in your childhood as well. Instead of blaming the people who are part of the drama of life, we must work on erasing the psychic impressions that are deeply embedded in our subconscious. You can release these impressions only with regular meditation. 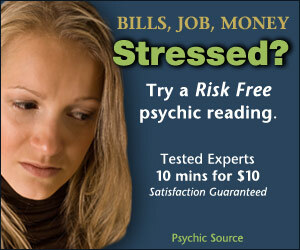 I would also urge you to work on developing witness consciousness. Watch every event of your life as if you were watching a movie in the theatre. By detaching yourself from the drama of everyday existence and by releasing the psychic impressions through meditation, you can fully heal yourself. 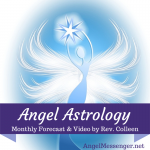 You will be amazed by how quickly the circumstances of your life will change and even the people who are currently troubling you will either move out of your life or they will undergo a complete transformation. Don’t blame the people who are part of your challenges as they are just the actors in a play that your Higher Soul has written so that you can learn the lessons that are crucial for your spiritual growth. For each one of us, the greatest lesson is to realize that we are the creators of our own destiny. Each one of us is powerful beyond measure because the soul that inhabits the body is limitless and infinite. It’s only when we start identifying with the false “I” or the ego that we start believing in illusions of victimhood. The ocean can never be confined to a cup – how can anyone ever incarcerate you with their negativity and poor choices when you are infinity itself!! http://www.angelmessenger.net/wp-content/uploads/It-is-time-to-reclaim-your-power-and-stop-being-bullied-e1531242214161.png 400 400 Angel Messenger Creative Team http://www.angelmessenger.net/wp-content/uploads/Angel-Messenger-Logo-2016-v4.png Angel Messenger Creative Team2018-08-06 08:00:522018-10-02 12:41:40It’s Time to Reclaim Your Power and Stop Being Bullied!